Since graduating from the University of Tennessee College of Law in 1980, Mr. Oberman has established himself as a national authority on the intricacies of DUI defense law. Early in his practice, Mr. Oberman developed an extensive knowledge of defending those charged with the crime of driving under the influence. This knowledge, combined with his background in the sciences, gave Mr. Oberman a unique perspective in defending those accused of driving under the influence. 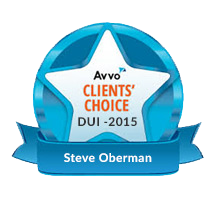 As a Tennessee DUI attorney, Mr. Oberman has successfully represented over two thousand clients charged with DUI. Steve has been a member of the Board of Regents of the National College for DUI Defense, Inc. (NCDD) since 1999 and served as Dean of the College during the 2009-2010 term. He is also the only lawyer in Tennessee to be certified as a DUI Defense Specialist by the National College for DUI Defense. He has been chair or co-chair of the National Association of Criminal Defense Lawyers’ DUI Committee since 1995 and is a frequent contributor to its official publication, The Champion. He is the author of DUI: The Crime & Consequences in Tennessee (Thomson-West) and co-author of the national treatise, Drunk Driving Defense (WoltersKluwer/Aspen) with Lawrence Taylor. Both DUI texts are widely relied upon by judges, prosecutors and defense lawyers. Steve has been an adjunct professor at the University of Tennessee Law School since 1993 and has received a number of prestigious awards for his faculty contributions. He is a popular speaker at seminars throughout the United States And has even spoken to court officials in Cambridge, England about defending impaired drivers. In 2002, Steve was honored to demonstrate cross-examination techniques and lecture at the FBI Training Academy in Quantico, Virginia on the topic of courtroom testimony. Steve is periodically designated as Special Judge for the DUI Division of the Sessions Court in Knox County, Tennessee, and in 2006, he served on the Governor’s Task Force on DUI Laws in Tennessee. 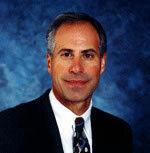 Steve has been named to Tennessee’s Best Lawyers List annually since the inception of the list in 2004. He was described as: “[the] Godfather statewide in the area of DUI;” “Brilliant lawyer, great teacher;” and “Well-regarded trial attorney with ‘professorial’ demeanor. . . .”. He has also been honored as one of the “Best Lawyers in America” by the publication of the same name; a “Top 100 Trial Lawyer” by the American Trial Lawyers Association; and a “Super Lawyer” by Mid-South Super Lawyers magazine. He has achieved the highest possible designation by leading national lawyer rating systems, including the renowned Martindale-Hubbell®. Steve has been a featured guest on many local and national radio and television programs, where he has provided commentary on criminal defense issues ranging from the O.J. Simpson murder trial to, of course, DUI defense. 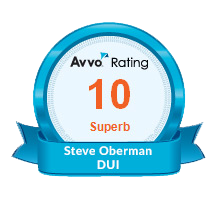 For more details about Mr. Oberman’s background and experience as a Tennessee DUI attorney, you may view his resume/vitae.